Why are they late for time ? 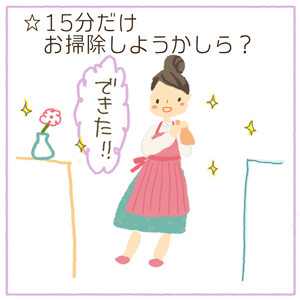 ‘SmileTimer’ has the cute illustrations and animations. This app is made for my daughter who have little sense of the concept of time. I hope she will have ability to think concept of time for herself. This is a countdown timer that can be set from 1 to 60 minutes. 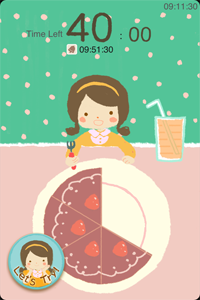 – SmileTimer appeals directly to children by countdown visualization, for example, decreasing number of flowers, quantity of cake, and so on. It’s easy to understand for little children who are not able to read the clock. 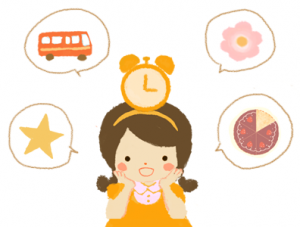 – It’s easy to understand for little children who are not able to read the clock. – If you tap ‘You did it’ button, countdown is stopped and change the screen with ‘Did it’ animation. Please select favorite theme ! You can select favorite music as BGM. 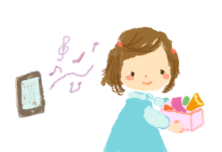 – You can select favorite music as BGM. ￼ You can select music from your iPod library as timer BGM. 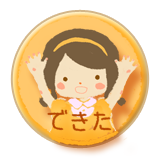 BGM play is just finished at the alarm time. So, you can know the time left while timer is counting down, and you can say ‘This is the last song.’. Furthermore, you can set a sound which play at the timer beginning, time-up, dit-it, pre-alarm. 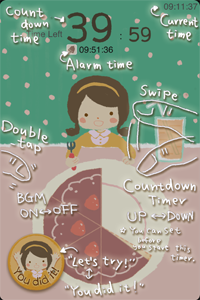 Alarm timer will be started at the time you set. you should set the alarm following. If you set so, timer will be start at 2:45 p.m. and continue countdown till 3:00 p.m. 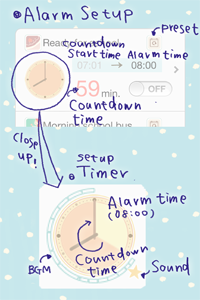 If SMILE TIMER is not active, local notification is pushed at the time of starting timer. – It’s available for children with developmental disabilities, such as confusing sense of time. children who feel a deep interest in ‘moving things’ . – During count down, auto power off function is disable, so please connect to the charger. 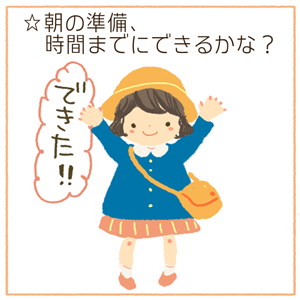 Children who want to do anything by oneself. – Download the SmileTimer app. – Tap the app to start. – Set the timer value by swiping up and down. 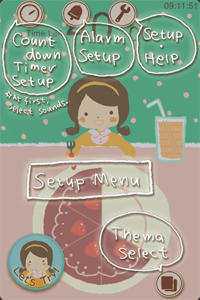 – Set the BGM from setup menu. – Tap the ‘Let’s try’ button to start the timer. 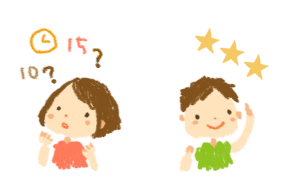 – If you complete your work, tap the ‘You did it’ button ! – If you want to set an alarm, tap the alarm setting button. – Preparation in the morning. 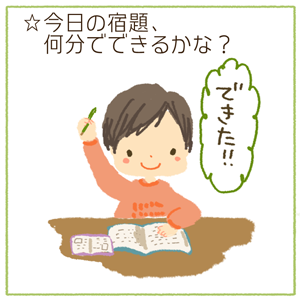 – Today’s homework, can you do it in 30 minutes ? – Let’s clean up the house for 15 minutes. Please feel free contact us by email or join us on twitter or facebook.